I live in Setúbal, Portugal. I work with Excel for more than 10 years. This tool is so powerful and complete that I'm still learning to work with it. Everyday I discover new fixtures and ways of doing things in Excel. I'm an active member of the Experts Exchange Community forums. where I’ve more than 1,600 questions answered. I try to help others solve their problems in Excel and also in other tools, mainly Microsoft tools (Access, Outlook, Visual Basic .Net, Powerpoint). 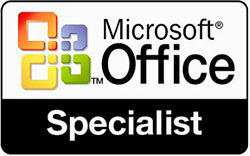 I'm also a Microsoft Office Specialist. I'm a self-taught person but I'm also taking a degree in Information Systems Management. I started writing this blog to share with others what I've learned over the years that I use Excel and with the experience in problem solving that I've got from my participation on Excel forums. Hope that you recognize the work I've done here.